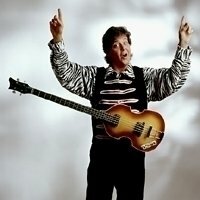 I have the good fortune of closely resembling one of my musical idols, Sir Paul McCartney, and I take advantage of every opportunity to portray “Sir Paul,” whether it is for concert publicity, tradeshow promotions, conventions, or special occasions and parties.I didn’t always resemble Paul McCartney. 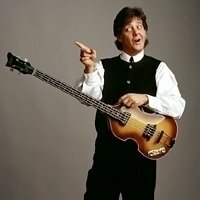 In fact, it wasn’t until my mid 40’s that I began to hear the question “Has anyone ever told you that you look like Paul McCartney?” (I suppose it helps that I had gained around 40 pounds, and finally “grew out” of my gaunt 135 lb. frame of my high school running days.) 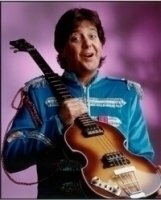 In 1999, The FAB 4 of Colorado, a Beatle tribute band, invited me to my first Beatlefest in Chicago. 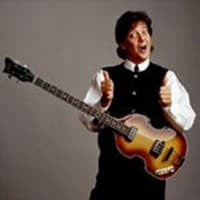 I won the look-a-like contest and was a part of Tony Perkin’s coverage for Good Morning America about the Beatlefest.Since that time I have had the opportunity to appear at trade shows,special events, Beatlefests and private parties in many parts of the country. 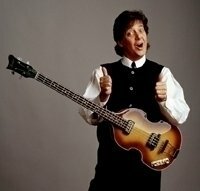 Sir Paul for parties, trade shows, meet and greets, conventions, key note speeches, movies, videos,commercials,award ceremonies, etc.Cheers!